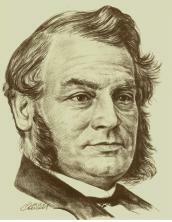 Tilley came to a personal knowledge of Jesus Christ in 1839 through his Anglican rector, the Reverend William Harrison. His life was so dramatically transformed that he even became an Anglican Sunday School teacher and a Church Warden (Elder). Tilley’s son Harrison became a well-known Anglican priest. One day, an 11-year old girl ran to Tilley for help, after her drunken father brutally stabbed her mother to death. Because of this tragedy, Tilley went from being a quiet pharmacist to becoming the Premier of New Brunswick in his campaign for alcohol reform. When Tilley brought in actual alcohol legislation, he was burned in effigy, his house was attacked, and his family’s lives were threatened. 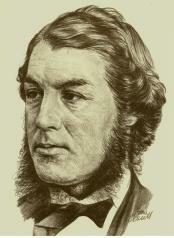 Tilley the ‘dry’ Anglican was good friends with Sir Charles Tupper the ‘drinking’ Baptist Premier of Nova Scotia. Both shared a passion for railways which they believed were the key to the Maritimes’ future. Sir Charles Tupper eventually became the Federal Minister of Railways, bringing the CPR railway line to Vancouver, and BC into Confederation. Before the arrival of the railway, traveling to Vancouver would take all summer by riverboat and stagecoach. Tupper read the Bible fully from cover to cover by the age of eight. His father Charles Tupper Senior, a prohibitionist, was one of the founding fathers of the fast-growing Maritime Baptist Churches. While training as a medical doctor in Edinburgh, Charles Jr discovered Scotch from which he never recovered. Tupper served as first president of the Canadian Medical Association. In 1867 the Halifax Morning Chronicle had described Tupper as “the most despicable politician within the bounds of British North America.” Throughout his career Tupper was variously described as “the Boodle Knight,” the “Great Stretcher” (of the truth), “the old tramp,” the “Arch-Corruptionist,” and “the old wretch.”. Tupper has the distinction of being the shortest-serving Prime Minister in Canadian history, even beating out Joe Clark and Kim Campbell (67 days!). His marriage, despite allegations of philandering, lasted longer than any other Prime Minister: 66 years! 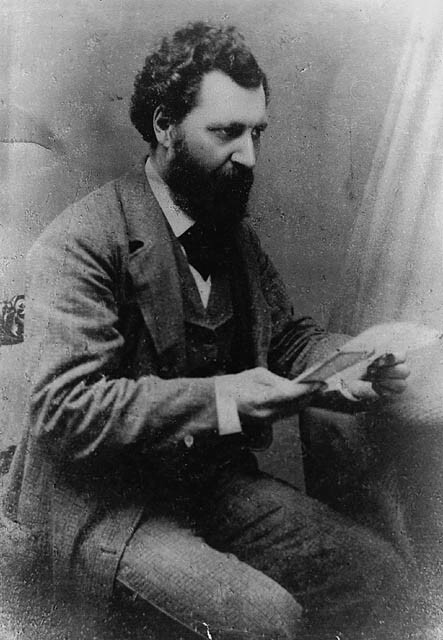 Tupper, the longest-surviving Father of Confederation, served in six federal cabinet portfolios. If there was something that was really difficult to get done, somebody who needed to be won over, Macdonald often said: ‘Call Tupper.’ Tupper could make things happen. In 1883 a British Columbia contractor close to Tupper was awarded a two million dollar job, even though rivals submitted lower bids. The opposition suspected a payoff. Tupper faced a legal challenge and demands for a full inquiry. He promptly left his retirement home in Vancouver and sailed for London, far from the cry of scandal, to take a diplomatic posting. Sir Charles Tupper and Sir Leonard Tilley remind us that God can use the most unlikely people in building a nation. Categories: Uncategorized | Tags: a nation under God, alcohol, Anglican Coalition in Canada, Anglican Mission in the Americas (Canada), Anglican Sunday School, Baptist, Battle for the Soul of Canada, BC, Boodle Knight, Canada, Canadian Medical Association, Charles Tupper Senior, Charlottetown, Church Warden, CPR, Dominion of Canada, Edinburgh, Father of Confederation, Halifax Morning Chronicle, Harrison Tilley, Jesus Christ, Joe Clark, Kim Campbell, London, Mari Usque Ad Mare, Maritime Baptist Church, Maritimes, New Brunswick, Nova Scotia, PEI, prayer, prohibition, Psalm 72:8, Reverend Ed Hird, Reverend William Harrison, scripture, Sir Charles Tupper, Sir Samuel Leonard Tilley, St. Simon's Church North Vancouver | Permalink. Who was Louis Riel? Was he a patriot or a dissident or both? Louis Riel was born at St. Boniface (Winnipeg, Manitoba) on October 22nd 1844, inheriting from his father a mixture of French, Irish and Aboriginal blood, with French predominating. Louis’ mother Julie sent her son Louis to become Canada’s first Metis priest. The 1864 death of his father however weighed heavily on Louis, bringing about an abrupt end to his seminary training. Four months from becoming a priest, Louis met a young Montreal girl, fell in love, and decided to marry. He rashly left the College of Montreal without obtaining his degree, and then his marriage plans collapsed when his fiancée’s parents forbade this proposed union with a Metis. Embittered by this racist-rejection, Riel left Montreal in 1866 – without a wife, without a career, without money. Returning home to the Red River settlement, Riel found that locusts had devastated the land. With the demise of the Hudson Bay Company’s influence, both Eastern Canada and the United States seemed poised to swallow up the Red River settlement. The Metis felt forgotten, ignored and politically abandoned. 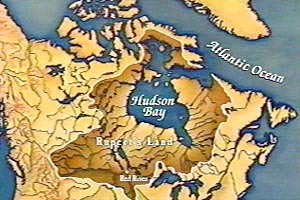 Without adequately consulting the local 12,000 Red River people, the Hudson Bay Company sold the Red River settlement to Eastern Canada. Louis Riel rallied the Metis people in 1869 to take over the local Fort Garry, the Western nerve centre of the HBC. Riel’s goal was to force the Federal Government to negotiate Manitoba’s admission into Confederation as a full province, not just a territory. The provincial name Manitoba, rather than the expected territorial name Assiniboia, came from Louis Riel himself. The Americans watched the Red River Rebellion with keen interest. Ignatius Donnelly, a former Lieutenant Governor of Minnesota, said: ‘If the revolutionists of Red River are encouraged and sustained…, we may within a few years, perhaps months, see the Stars and Stripes wave from Fort Garry, from the waters of Puget Sound, and along the shore of Vancouver.’ In the summer of 1870, Nathanial F. Langford and ex-governor Marshall of Minnesota visited Riel at Fort Garry. They promised Riel $4 million cash, guns, ammunition, mercenaries and supplies to maintain himself until his government was recognized by the United States. Riel declined. “The Metis are a pack of cowards”, boasted Thomas Scott, “They will not dare to shoot me.” If it was not for Riel’s sanctioning of the tragic shooting of the Orangeman Thomas Scott, he might have ended up in John A Macdonald’s federal Cabinet. Thomas Scott’s death made Riel ‘Canada’s most hated man’. 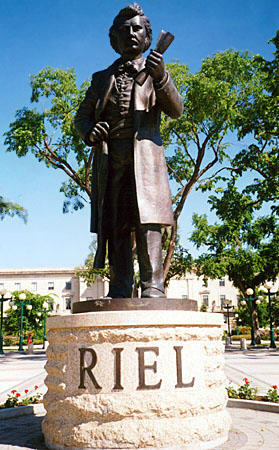 After fleeing to the United States, Riel was then elected in his absence as a Manitoba MP. The Quebec legislature in 1874 passed a unanimous resolution asking the Governor-General to grant amnesty to Riel. That same year, after Louis Riel’s re-election as MP, he entered the parliament building, signed the register, and swore an oath of allegiance to Queen Victoria before slipping out to avoid arrest. The outraged House of Commons expelled him by a 56-vote majority. Exiled to Montana, Riel married and became a law-abiding American citizen. In 1884, with the slaughtering of the buffalo, many First Nations and Métis were dying of hunger. The Metis in Saskatchewan convinced Riel to return to Canada. Riel sent a petition to Ottawa demanding that the Metis be given title to the land they occupied and that the districts of Saskatchewan, Assiniboia and Alberta be granted provincial status. The Federal Government instead set up a commission. In the absence of concrete action, Louis Riel and his followers decided to press their claims by the attempted capture of Fort Carlton. 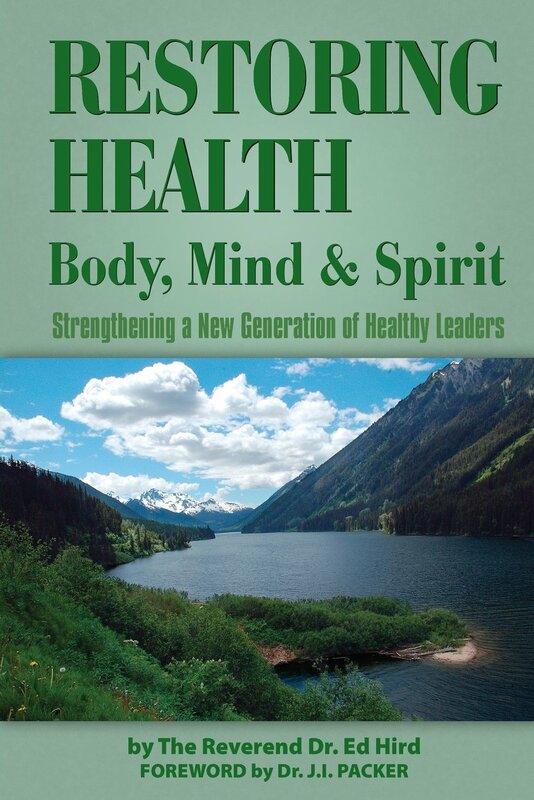 – In order to obtain a signed copy of the prequel book Battle for the Soul of Canada, please send a $18.50 cheque to ‘Ed Hird’, #102-15168 19th Avenue, Surrey, BC, Canada V4A 0A5. Categories: Uncategorized | Tags: Aboriginal, Alberta, Americans, amnesty, Anglican Coalition in Canada, Anglican Mission in the Americas (Canada), Assiniboia, Batoche, Battle for the Soul of Canada, Canadian Pacific Railway, CPR, dissident, Eastern Canada, First Nations, Fort Carlton, Fort Garry, French, God, Good Thief, HBC, Hudson Bay Company, Ignatius Donnelly, Irish, Jesus, John A Macdonald, locusts, Lord Jesus, Louis Riel, Manitoba, Manitoba MP, Mark Hird, Marshall, Mary McLean, Metis, Metis priest, Minnesota, Montana, Montreal, Nathanial F. Langford, Oliver Allen, Orange Order, Orangeman, Paradise, patriot, Providence, Puget Sound, Quebec, Quebec Legislature, Queen Victori, Red River Settlement, Regina Leader, Rev Ed Hird, Roman Catholic, Saskatchewan, seminary, St Boniface, St. Simon's Church North Vancouver, Stars and Stripes, The Queen of England, Thomas Allen, Thomas Scott, Toronto militia, Union Jack, United States, USA, Vancouver, William O'Donohugue, Winnipeg | Permalink. North Vancouver District…North Vancouver City…West Vancouver… Vancouver City…Vancouver, Washington….How did so many local cities get a Dutch name like Vancouver? 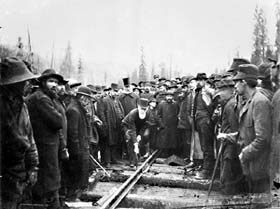 Since William Van Horne had been the driving force behind CPR’s rapid completion of the CPR line through the Prairies and onto Port Moody; he was listened to most carefully. 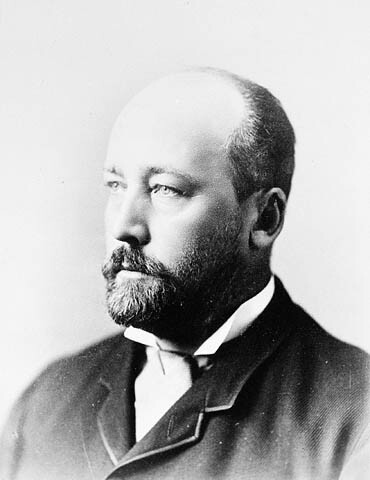 Sir William Van Horne went on to become the President of the CPR in 1888; before being knighted in 1894. Both the Vancouver, Washington citizens and the Vancouver Island residents were upset that Van Horne had stolen their name given to them by Captain George Vancouver himself. Fort Vancouver, Washington was established in 1824 as the first British Settlement on the West Coast. 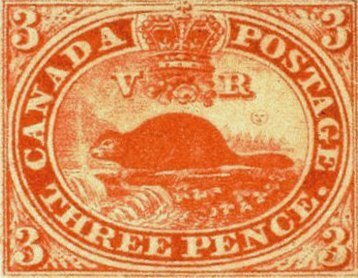 The Victoria merchants were so upset by this ‘theft’ that they organized a boycott of all Eastern Canada companies who did business with Van Horne’s Vancouver. Robert Beaven of Victoria complained how wrong it was that Van Horne, being an American citizen, could take so much control after only two years in Vancouver. It is highly ironic that the CPR coast-to-coast railway, which kept BC from joining the USA, was to a very large extent managed and built by Americans. Pierre Burton notes how upset some people were that Van Horne hired more Americans than Canadians to accomplish this nationalist task of uniting Canada by rail. Why did Van Horne choose Vancouver?? 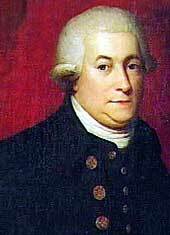 Perhaps part of Van Horne’s attraction to Captain George Vancouver is that they were both of Dutch ancestors, and that both as orphans had ‘made good’ despite enormous obstacles. Vancouver’s paternal family had once been the van Coevordens in the Province of Drenkte, Holland. 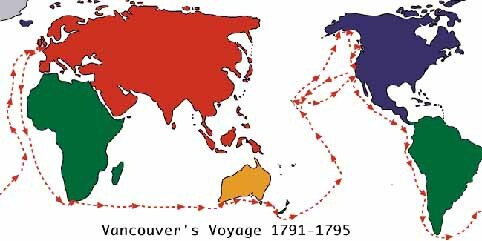 Captain Vancouver led one of the greatest expeditions ever undertaken. His mandate came from a sudden threat of war with Spain. British ships had been seized, the flag had been insulted, rights of British subjects had been violated, all in that distant port of Nootka on what came to be called Vancouver Island. Captain Vancouver was sent to receive Nootka back from the Spanish, and to map the Pacific Coast. He and his men, squeezed into two ninety-nine foot sloops, covered 65,000 miles in only four years. Vancouver had meticulously mapped the continental shore line from latitude 56 degrees north, in southeastern Alaska, to his assigned southern limit. He proved once and for all that there was no mythical Northwest Passage. 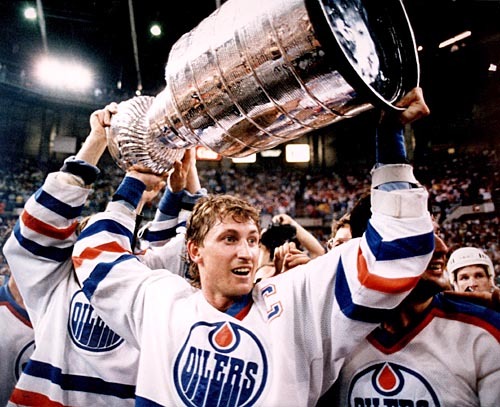 It was a remarkable accomplishment, a tribute to Vancouver’s perseverance, drive, and energy. Without Vancouver’s monumental work, it is conceivable that the northern boundary of Oregon might have been fixed at latitude 54/40 North and Canada today would have no Pacific shores. 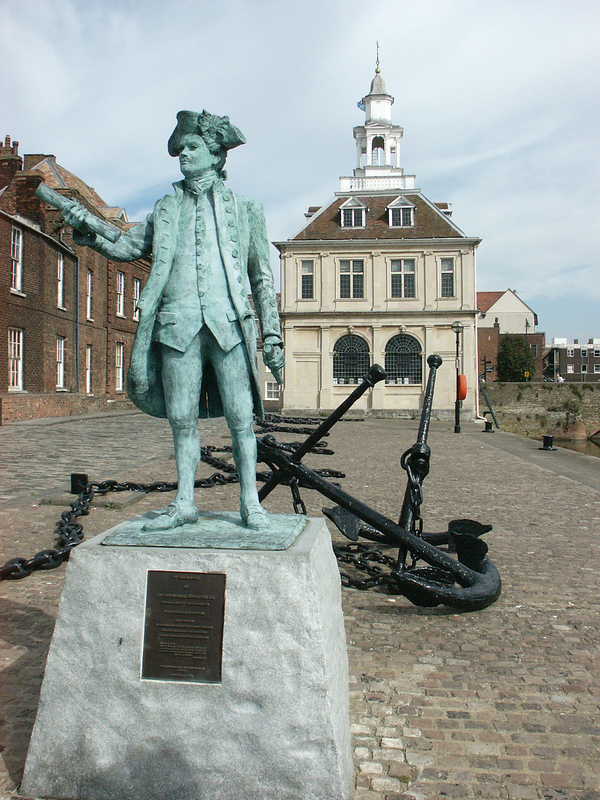 Vancouver learnt well from his mentor Captain Cook in the methods of warding off the dreaded illness called scurvy. The seamen detested and grumbled at the strange dishes he made sure were included in their daily diet. They only wanted salt pork, beef, and dried peas –their usual fare. However, Vancouver provided them with extras in the form of pickled cabbage, malt, a peculiar-tasting beer, lime-juice, and something officially described as carrot marmalade. They either ate their foods or were given the lash. British sailors got the nickname ‘limey’ from this ‘peculiar’ practice of daily lime-juice. Vancouver’s ‘limeys’ stayed alive and healthy when, in almost any other vessel afloat, perhaps half of them would be dead inside two years at sea. Along the way to Vancouver Island, Captain Vancouver learnt many native languages with ease. At one point, he used this skill to do successful marriage counseling that reconciled the King and Queen of Hawaii. In a remarkably contemporary tone, King Tamaahmaah denied his wife’s accusations of adultery, pleading, however, ‘that his high rank and supreme authority was a sort of license for such indulgences.’ The Hawaiian King was so grateful for Vancouver’s marital and political advice that he ceded all of the Hawaiian Islands over to the British Crown. Shortsightedly the British government didn’t want another obscure little colony, and so refused the offer. Just think…if we’d played our cards right, Hawaii could have become the 11th province of Canada! Captain Vancouver inscribed the names of every officer he had ever respected up and down the coast. 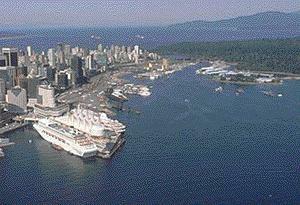 : All in all, Vancouver discovered and named more than two hundred places. As a young child, I remembered my mother commenting rapturously about Mt. Baker. I had no idea that Mom was invoking the memory of Vancouver’s third lieutenant. Burrard Inlet was named by Vancouver for an old shipmate of Europa and Expedition days in the Caribbean, Sir Harry Burrard of the navy. Point Grey was named as a compliment to Vancouver’s friend Captain George Grey. Many BCers don’t realize that the Spanish once ‘owned’ the BC Coast. In honour of his cordial relations with the Captain Quadra who relinquished the Spanish claim to BC, Captain Vancouver gave to Vancouver Island the full name of ‘Quadra & Vancouver Island’. Four years at sea began to wear down Vancouver’s spirit. Near the end, he commented: “I am once more entrapped in this infernal Ocean, and am totally at a loss to say when I shall be able to quit it.” To his brother Van, he wrote complaining about ‘these remote and uncouth regions’. He never heard one word from his superiors in all of the four years. After his heroic journey around the world, Vancouver received little acclaim and less money. The admiralty took four years to pay the wages they owed Vancouver; the small amount they allowed barely covered his debts. With the horrific Napoleonic wars breaking out, no one had the time to worry about some obscure little settlements on the Northwest coast of what Queen Victoria eventually named as British Columbia. Vancouver died broken-hearted and rejected at age 40. His tombstone in Petersham was only a plain common grave that was soon forgotten about. Years later, it is well-tended and is remembered annually by the people of British Columbia, who helped rebuild St. Peter’s Church after the Second World War. On this 212th Anniversary of Vancouver’s death, may we each choose to be courageous on our journeys of life. May Jesus the Captain of our souls keep our sails aloft and trimmed. Categories: Captain Vancouver, North Vancouver, Uncategorized, Vancouver | Tags: Alaska, Anglican Mission in the Americas (Canada), Britain, British, Burrard Inlet, Canada, Canadian Pacific Railway, Captain Cook, Captain George Grey, Captain Vancouver, City of Vancouver, CPR, District of North Vancouver, Drenkte, dutch, England, Gastown, George Vancouver, Granville, Hawaii, Holland, Jesus, King Tamaahmaah, limey, Liverpool, Nootka, North Vancouver, Northwest Passage, Oregon, Petersham, Point Grey, Port Moody, Quadra, Queen Victoria, Scurvy, Sir Harry Burrard, Spain, St Peter's Church, Van Coevorden, Vancouver, Vancouver Island, Vancouver Washington, West Vancouver, William Van Horne | Permalink.